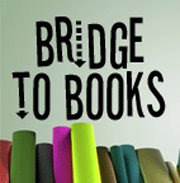 A Life Bound By Books: #TeamAmity Giveaway!! Enter to win a UK Divergent & Insurgent Prize Pack!! 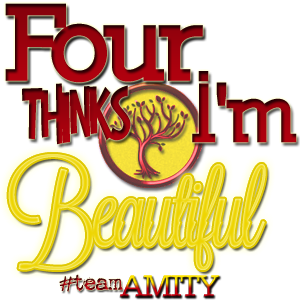 #TeamAmity Giveaway!! Enter to win a UK Divergent & Insurgent Prize Pack!! Hey guys! #TeamAmity has been going strong this month! With your help we've been doing GREAT! The month's not over yet and we're still looking for you guys to help bring us to the top! So, with the HUGE group and individual giveaways we've had going on all month, I thought today would be the perfect time to host my own little giveaway. 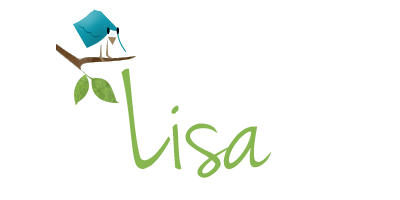 I have something exciting in mind and I hope you guys will be just as excited as I am about it. So, next month I'll be heading across the pond to visit family over in the UK. 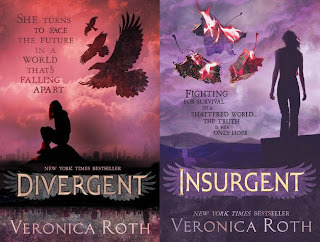 I'll be gone the month of May, but figured it might be a great idea to pick up copies of Divergent & Insurgent while I'm there and give it away to ONE lucky winner! Along with UK copies of both books, the winner will also receive some fun UK surprises! I usually use google forms for my giveaways, but this time I'm going to use Rafflecopter. I wanted to try it and see how it works. I might have some slight changes to it since I've never used it before, but it should be pretty easy to get your entries in. Please let me know if you have any questions. Please fill out the form, no entries in comments will be counted. NOTE: Since I'll be gone the month of May, a winner will be chosen and contacted before I leave, and the prize will be mailed out AFTER I have returned, so the winner will receive their prize in early June. Those covers are gorgeous! I love the pink and purple. That said, I think I like the US covers better, but those UK versions would be so unique here. I'd love to win. Thanks and enjoy your trip across the pond! Thanks for the giveaway! It would be awesome to have UK copies. Important #TeamAmity Blog Events & Giveaways!